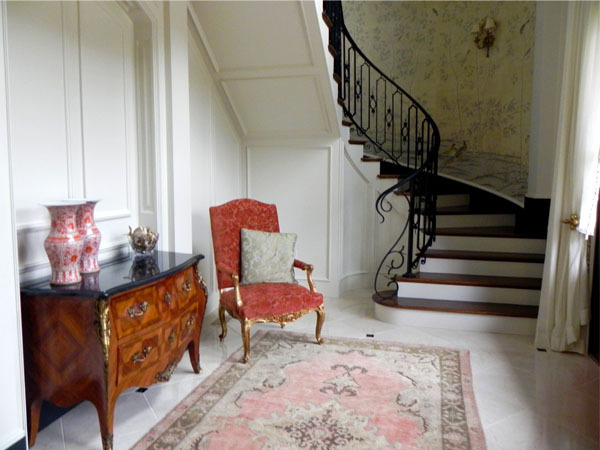 Here is a peek into a house we recently finished. 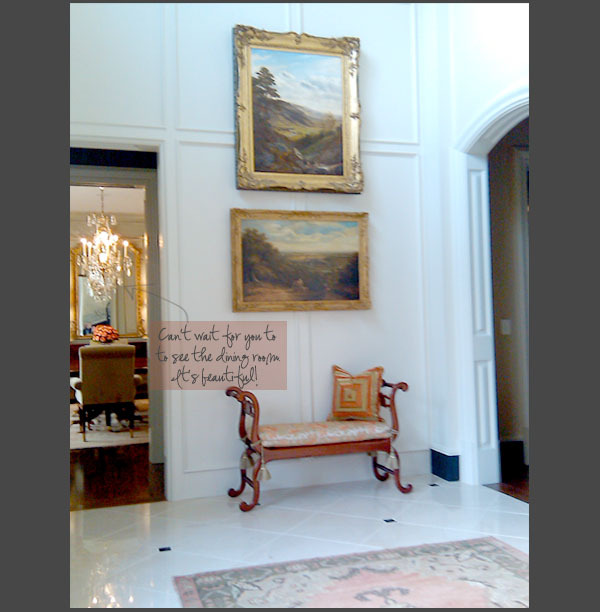 It will be professionally photographed next week, so stay tuned to see the entire house featured in an upcoming blog. 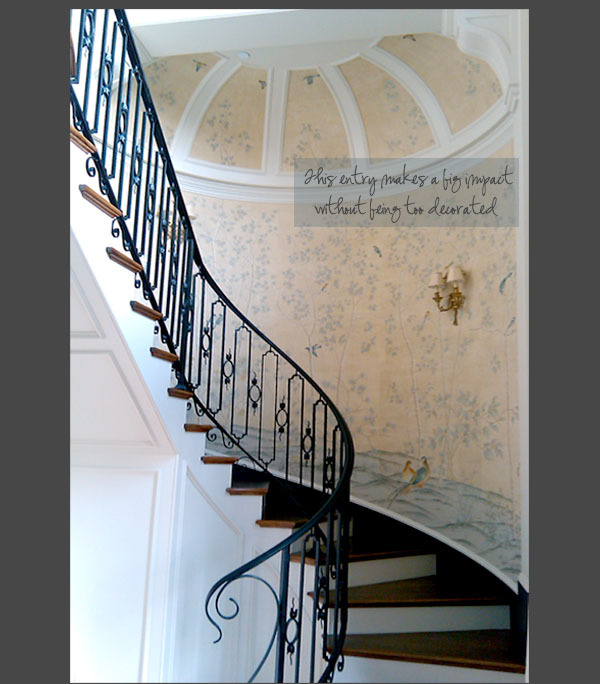 The entry hall staircase wallcovering is hand painted and custom made to our exact specifications. Roger selected every color, pattern, and design that is included. The process involved many steps of sample approval and color renderings. The end result is a timeless reward. The bench below was found at an antique market and reupholstered with decorative rope trim, tassels, and a beautiful custom throw pillow. The 19th century oil paintings were another great market find that add a sense of age. These finely planned details are the signature of the designer that will be admired and appreciated in the home throughout the years.